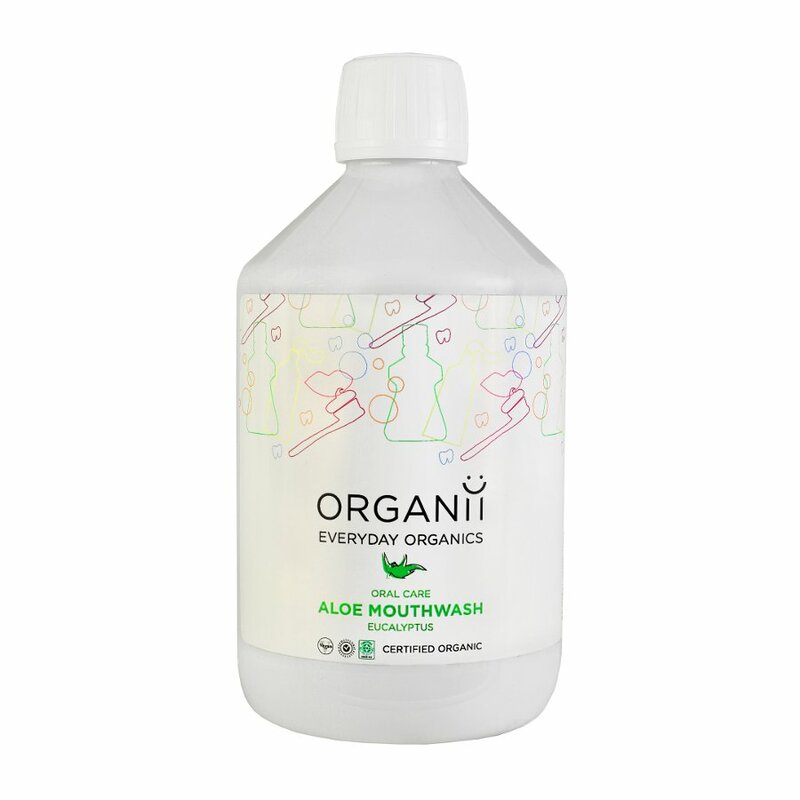 Ensure your mouth is fully protected and fresh with this certified organic mouthwash made with natural eucalyptus essential oil. 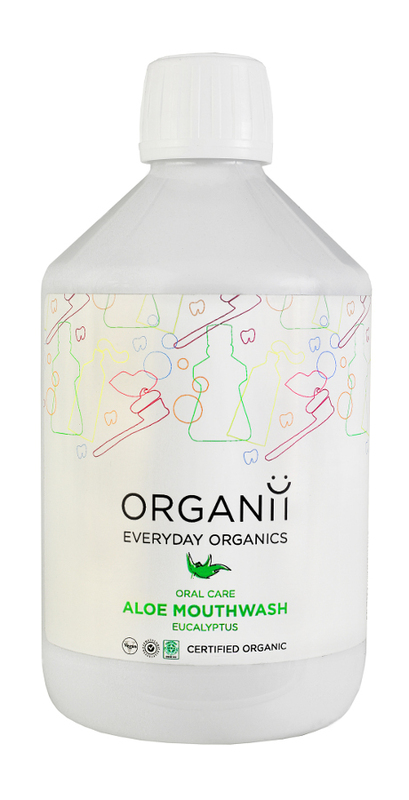 Created to defend teeth and gums from germs and plaque while promoting good mouth health. This mouthwash could also shield you from bad breath and gingivitis. Aqua (water), aloe barbadensis gel*, alcohol*, eucalyptus globules oil*, limonene, sorbic acid, sodium benzoate, sodium dehydroacetate *From organic farming. There are currently no questions to display about Organii Aloe Mouthwash - Eucalyptus - 500ml.